Is it just me, or does it seems a little odd that after so much work cutting them through and maintaining them, that we celebrate losing that first set of pearly whites? We’ve found a bunch of fantastic tooth fairy finds to keep the magic of childhood alive! My favourite find of them all comes from Maileg. 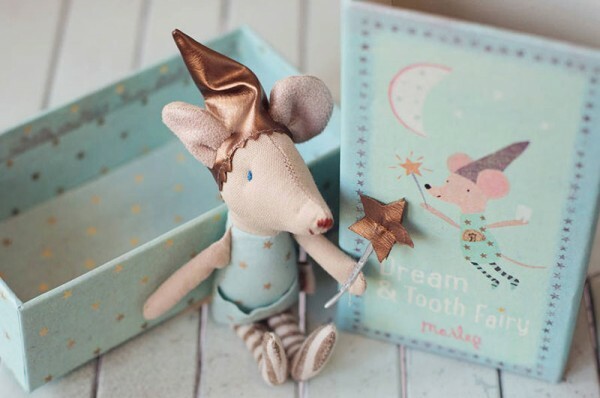 The Tooth Fairy Mouse is housed in a sweet coordinating matchbox with a fairy outfit fitted with a teeny pocket, perfect for a toothy peg and coin exchange. Available in blue and pink, priced $55 from Leo & Bella. No one wants to experience the terror of a lost tooth under the pillow in the middle of the night. Trust me, this rarely ends well for the tooth fairy. 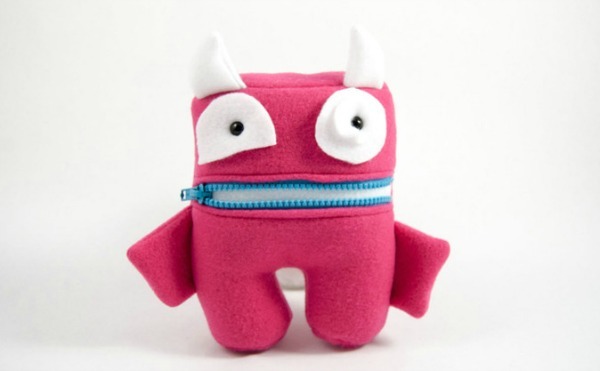 Avoid all trouble with a dedicated tooth holding monster pillow, $47 from Seams Legit Crafts. Home Again Creative has designed a brilliant tooth fairy and stamp kit which I’m sure will be just as much fun for parents as it will be for the children. $51.50 from Home Again Creative. 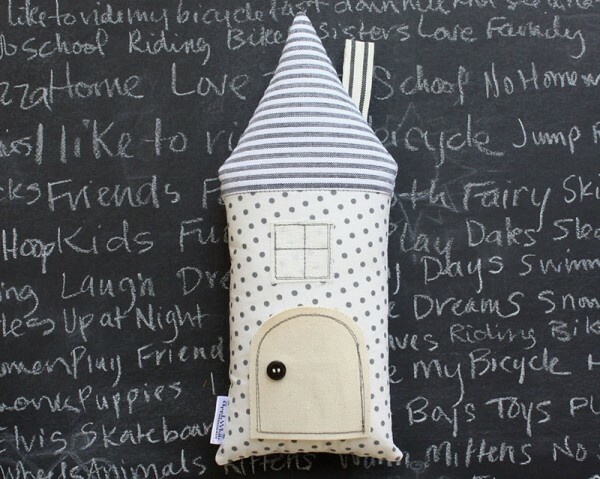 For more divine tooth fairy pillows, we adore these beautiful house cushions complete with a fairy sized door and pocket for securing that prized tooth in. $40 from Apple White. 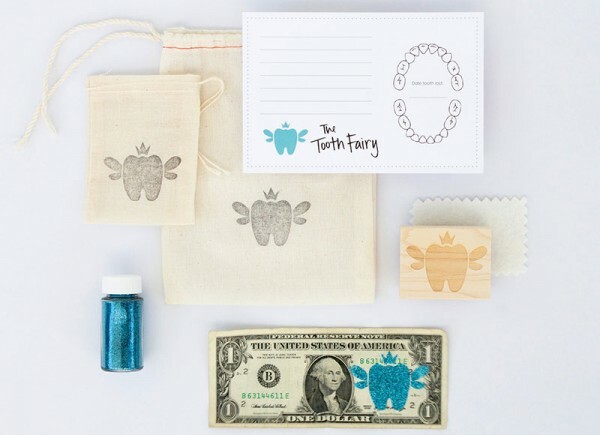 For a complete tooth fairy kit and caboodle, The Tooth Fairy Kit has it all. 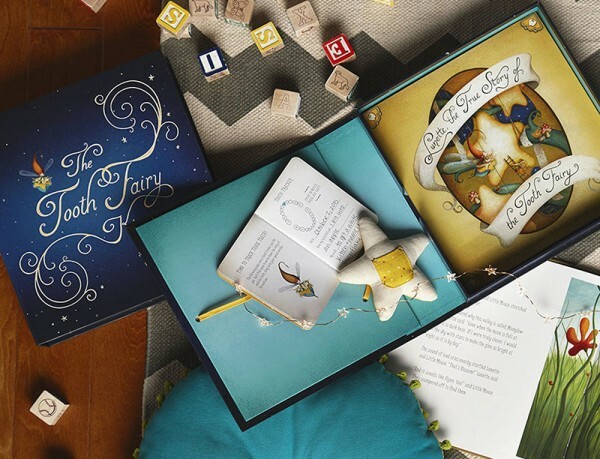 The kit includes everything you need, including a star tooth pillow, illustrated story book and keepsake journal. Priced $89.95 from Little Boo-Teek.